Here are instructions for disabling FoxyDNS on MacOS. 1. Go to System Preferences. 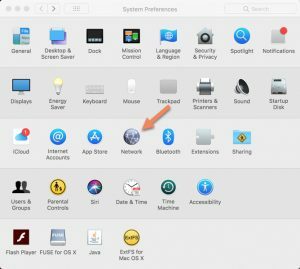 You can get to System Preferences by clicking on the Apple logo in the upper left. 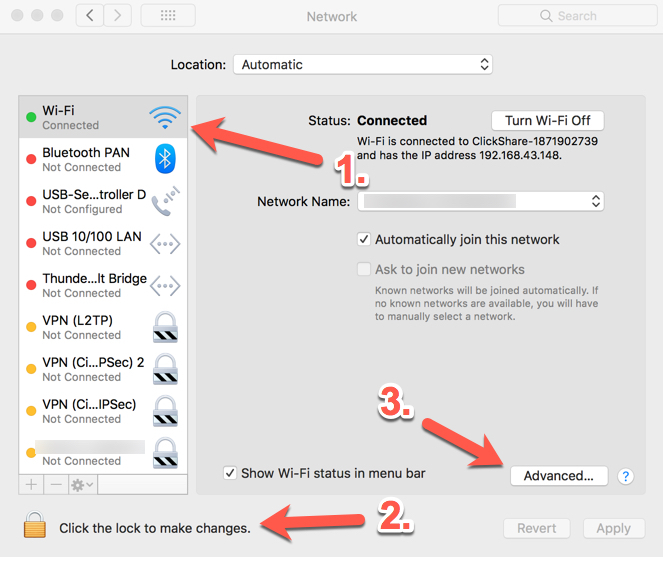 If you’re connected via ethernet, click on the Ethernet item in the left sidebar. 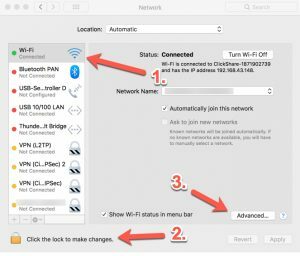 If you’re connected over Wi-Fi, click on the Wi-Fi item, etc. (connected items will show up with a green dot to the left of their name – this one should be clicked). Click the lock sign in the lower-left, after which you are asked to enter username and password of a user that has administrative rights on your computer. Finally, click the Advanced button. 3. 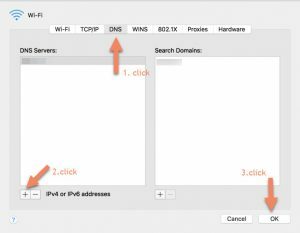 In this new window, click the DNS tab. Any of these choices will work well but OpenDNS may not track you. Save by clicking the OK button at the bottom. Reboot your computer. After the reboot, FoxyDNS is deactivated.